I built this guitar about 7-8 years ago, at the time I was playing in a band and it got some pretty heavy use but lately it has been laying idle and I seriously need to thin down my collection! I'm not really set up to make basses so this guitar was built from bits that I gathered over a period of time, all the parts are of very good quality the neck is licensed by Fender and the body is a nice weight alder, I wasn't really after recreating a particular year of manufacture just more an overall look that I liked. Licensed Fender neck with rosewood fretboard and block inlays. Body is alder (not built by me). 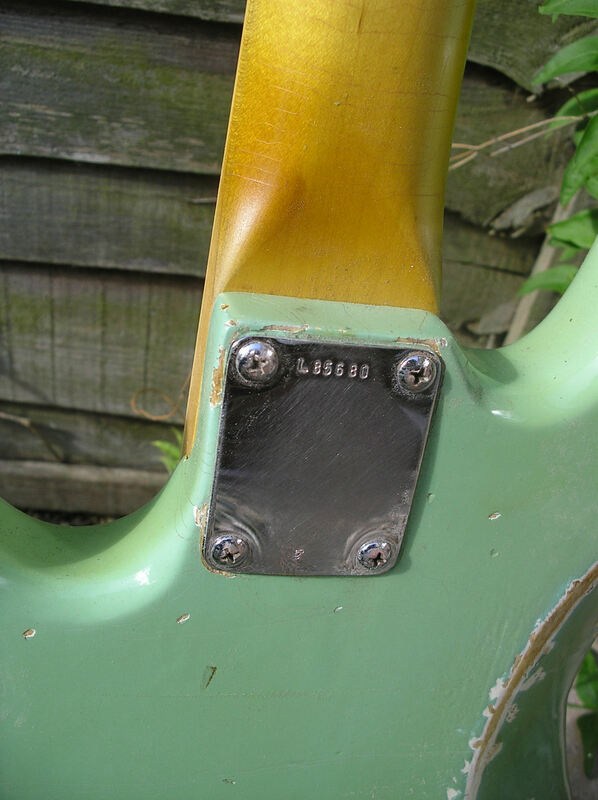 Controls: Volume for each pickup. 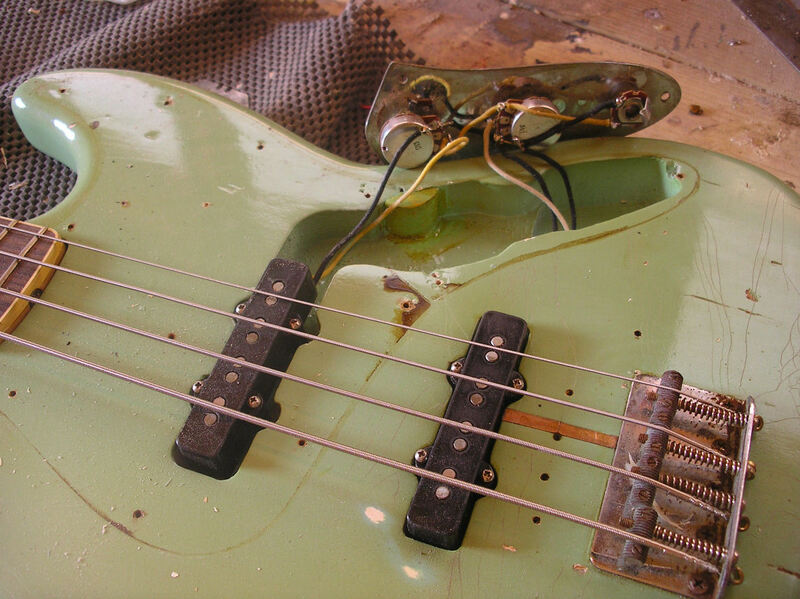 Paint: Nitro cellulose surf green relic'd. Even though I didn't build this bass from scratch all the usual attention to detail is there when it comes to the quality of the fit, finish and ageing. 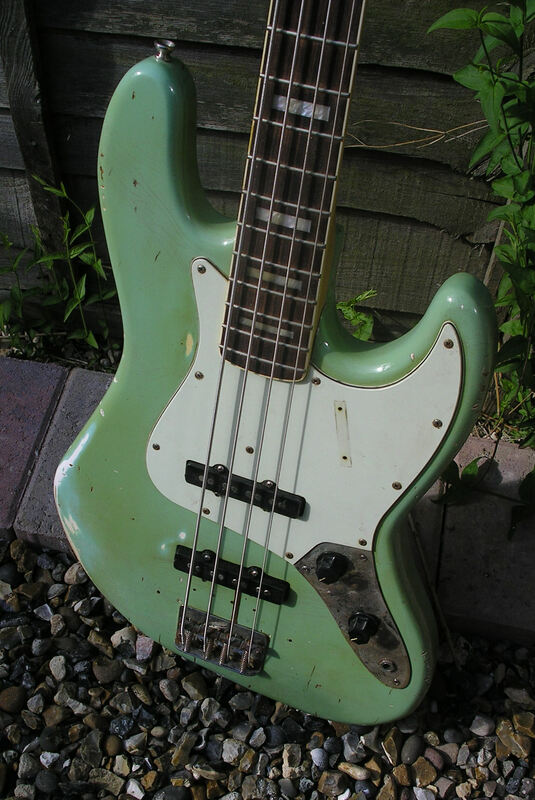 Here's a closer look at the body, as well as knocks and dings in the finish there's fading and craze cracking, the hardware has some rust and the pickguard has sings of the thumb rest. Headstock, this is a really nice neck and I remember it costing over £200 but being quite a while ago I can't remember the manufacturer. 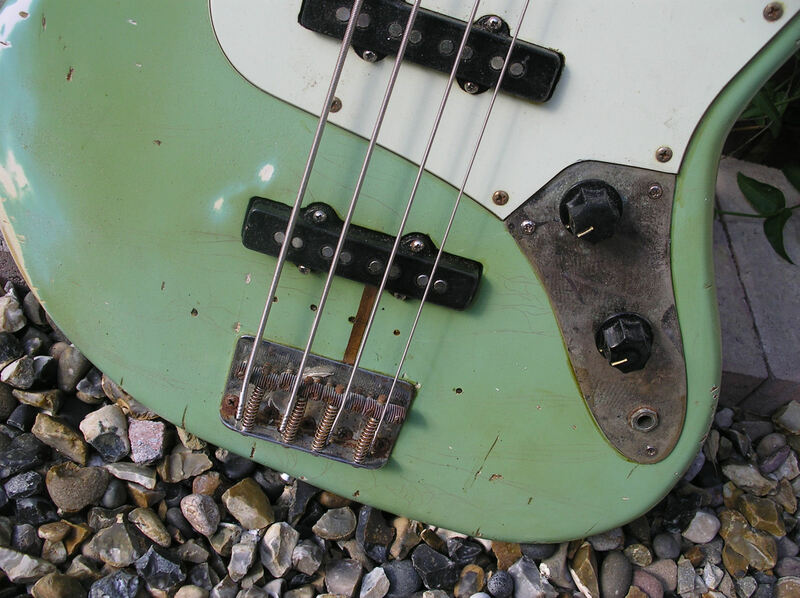 More detail, the surf green really sets this bass off well. 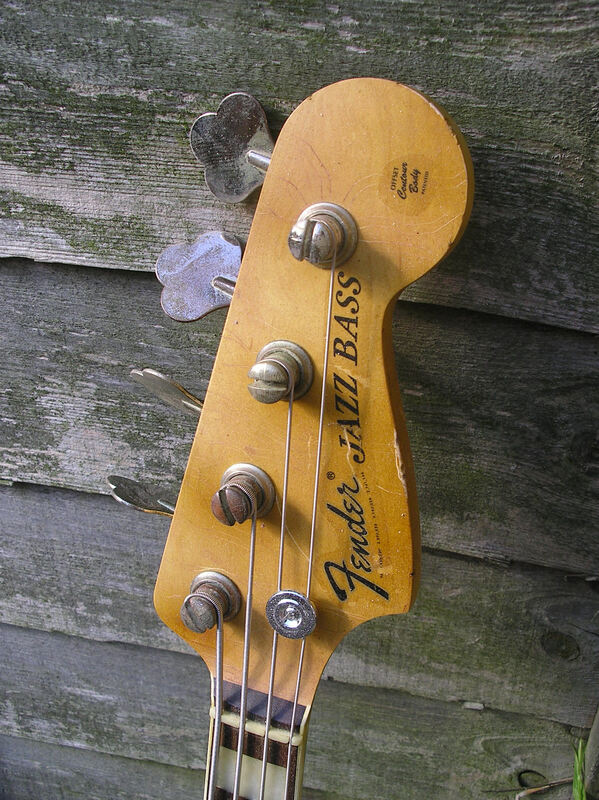 Well that's about it.... A really nice bass that has quite a bit of natural ageing as well as relicing, like I say it must have around 8 years gigging under its belt . You could easily pay double this amount for a bass of this quality. There's probably near enough £500 worth of parts, I've had plenty of use from it and like I say really need to thin out my guitars, so I'd be happy to get £800 for it.